If he smells funny, he's dead. Just wait for the flies to start feasting on his body. But I doubt even that would convince the nutjobs. While all this gets decided, His Holiness Shri Ashutosh Maharaj will remain right where he is: in a commercial freezer. Take him out of the freezer. The laws of nature will tell you whether he's dead or alive quite definitively. Check it out, man. 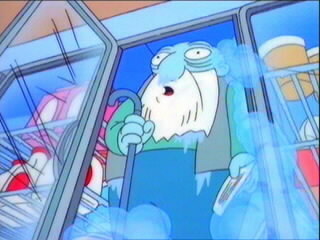 It's a freezer geezer! No no he's not dead, he's, he's restin'! Remarkable bird, the Norwegian Blue, idn'it, ay? Beautiful plumage! So, the police say he's dead and the courts say it's a spiritual matter. Have they considered seeking the opinion of a... hmmmm... doctor? They have medical equipment that can determine such things.